From document Continuing Medical Education (10.32.01.10) B. Requirements. 10.44.22 Continuing Education 10.44.22.08. 08 Approved Sponsors and Equivalents.. A. The Board approves for credit any course or program that:. 1) Satisfies all eligibility criteria in Regulations .06 and .07 of this chapter; and. 2) Is sponsored by any one of the following entities:. a) An accredited dental school;. b) An accredited dental hygiene school;. c) The American Dental Association;. 10.44.22.04. 04 Requirements.. A. 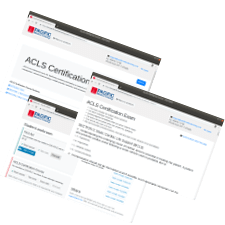 A licensee shall maintain cardiopulmonary resuscitation certification from one of the following programs:1) The American Heart Association’s Basic Life Support for Healthcare Providers;. 2) The American Red Cross’s Cardiopulmonary Resuscitation for Professional Rescuers; or. 3) An equivalent program approved by the Board.. B. A licensee seeking renewal shall complete not less than 30 full hours of continuing education, including 2 hours of infection control. 30 hours of continuing education are required the two years prior to renewal. Two (2) hours must be “live” CE. Pharmacists may acquire two live CE credits for attending a Board of Pharmacy Public Meeting in its entirety (not to exceed 4 CE credits per renewal period). A CE is considered “live” if it offers the ability for the participant to have real-time interaction with the presenter. Programs approved by the Accreditation Council for Pharmacy Education (ACPE) that are designated by the letter “L” in the course identification number are considered “live.” ACPE-approved courses pharmacists (only) end in the letter “P”. XVII. Personnel. (1) Persons performing the tattoo or Body Piercing operation shall obtain current certification in first aid and proof of attendance at a Blood-Borne Pathogen training program (or equivalent), approved by the Occupational Health and Safety Administration. Training/courses provided by professional body art organizations/associations or by equipment manufacturers may also be submitted for consideration. (3) The Owner of a Body Art Studio must maintain a file on all persons who perform tattoo or Body Piercing procedures at that Body Art Studio, which will be available for inspection by the Department and includes the following: (b) Evidence of CPR, first aid certification and completed training in Disease Prevention/ Blood-Borne Pathogens. Total number of locations: 39. These locations CAN provide American Heart Association-branded provider cards if needed. Police officer James Herman was approached by the grandmother of an unresponsive baby while initiating a traffic stop in I-270. Officer Herman performed CPR on the baby, who was 9-months old, and successfully revived her. The baby had recently had heart surgery and after the recovery was rushed to the hospital to be placed in the ICU. A 16 year old swimmer was saved at a Middle School pool thanks to the action of a coach and father. It was reported that the swimmer suffered a shallow water blackout and a bystander who was walking nearby jumped to the action by administering CPR maneuvers while people called 911. The firefighters arrived first to find the girl breathing normally and it was all thanks to the prompt action of the heroic man. "The PulsePoint program increases the chance that a CPR trained bystander who may be closer than a first responder can take action to save a life," said fire department chief Allan Graves. This new app will help save lives thanks to it being able to alert any resident in a radius that know CPR so they can quickly come to help the person suffering from either a cardiac arrest or otherwise.